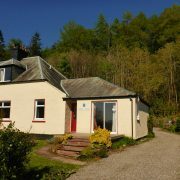 We are delighted to welcome a new property to Clachaig Holidays, from mid May 2017. 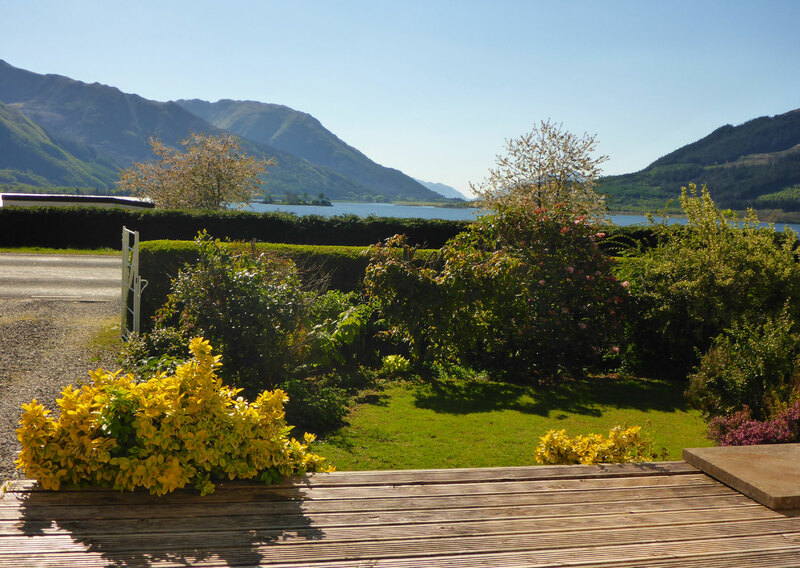 Camus Bhan, located on the shores of Loch Leven at Invercoe, is a spacious and very well presented family home on the fringes of Glencoe village. 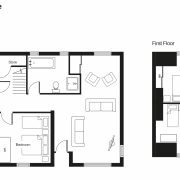 Accommodation comprises kitchen, dining room, lounge, bathrooms and 3 bedrooms with 2 benefiting from en suite facilities. 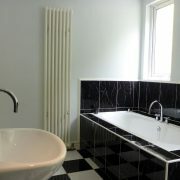 The house can accommodate up to 7 guests. 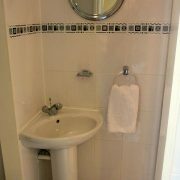 Upstairs there’s a double room and a twin bedded room, both of which have en suite shower and toilet facilities. 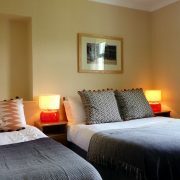 On the ground floor you’ll find another double room, which also has a single bed so can be used as a twin. Adjacent is the master bathroom with deep, luxurious bath, and a separate shower. This property is dog friendly. We allow up to two dogs per property. You must read our dog policy before booking. 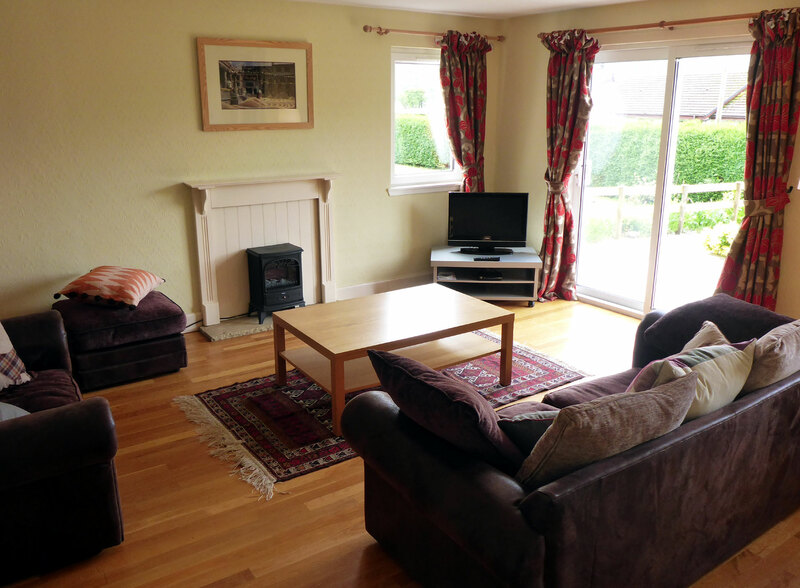 The lounge has a full height window with a view over Loch Leven and towards the west. 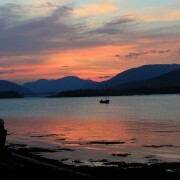 The sunsets over Ardgour can be spectacular. 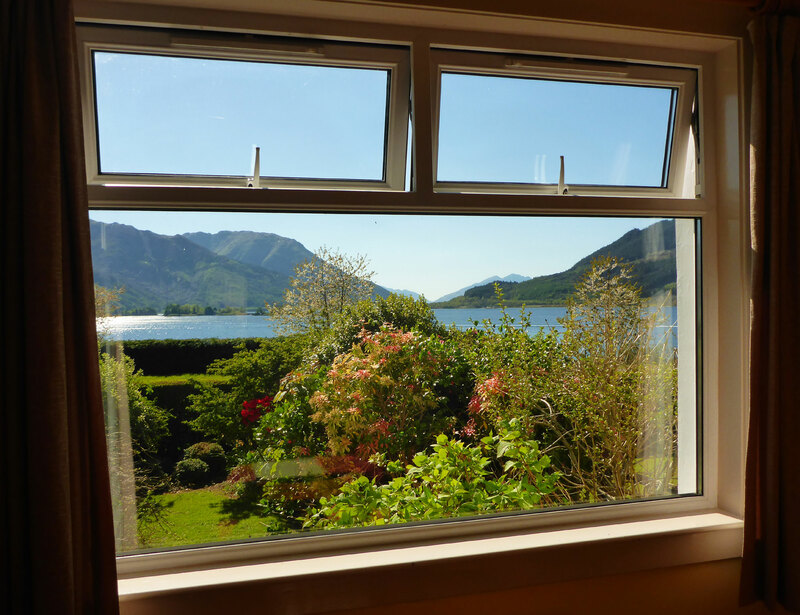 Should you ever tire of the view, FreeSat TV is provided with many channels available. Fibre broadband is due to be available from the end of May. 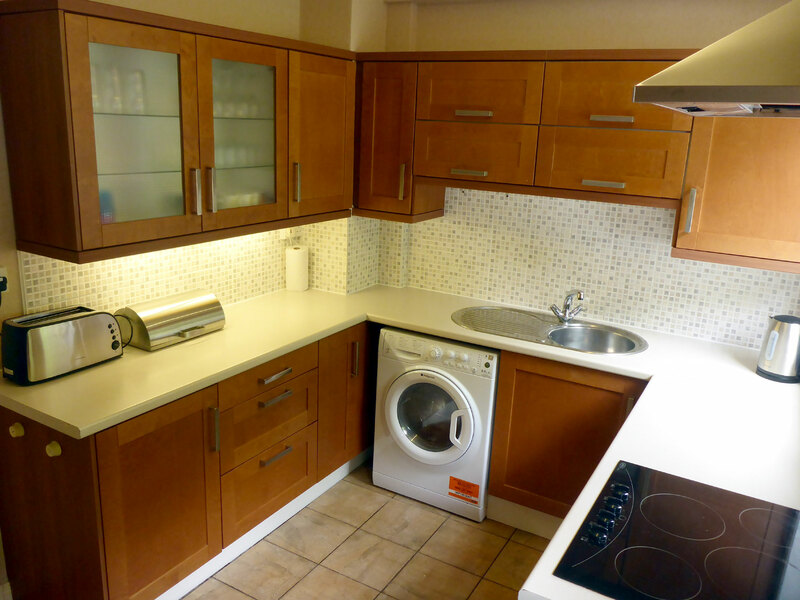 The kitchen includes the usual range of appliances, including a dishwasher and a combi washer/dryer. The dining room leads off the kitchen and enjoys a view over the garden to the loch. In the cooler months, you may wish to light the open fire – we’ll provide fuel for your first lighting. 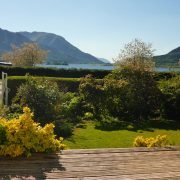 There is a modest private garden and for sunny days and deck where you can sit back and enjoy the setting sun over the Ardgour hills. If you are bringing your bikes, kayaks or other big toys with you on holiday then you may wish to use the shed or the car port to the rear of the property for storage. Woodland walks to the lovely Glencoe Lochan can be started from the back door. 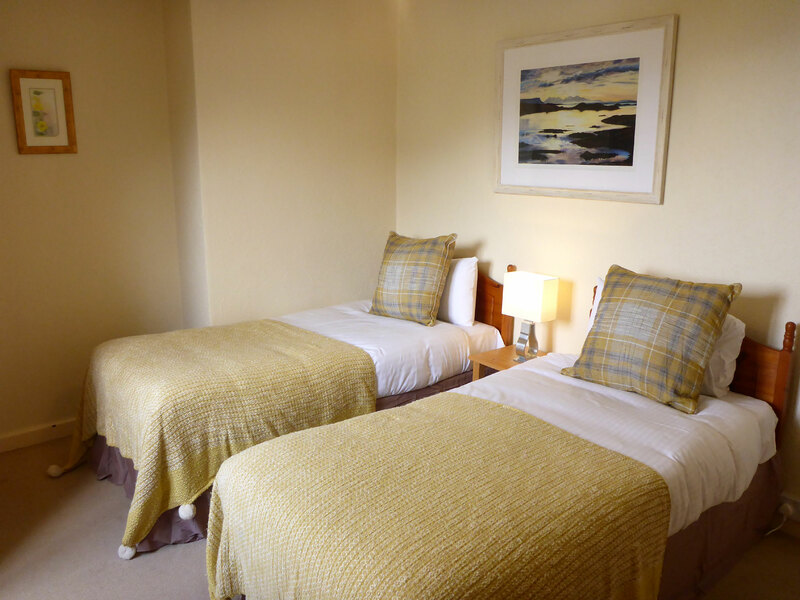 The Glencoe Inn is within walking distance, along the shore of Loch Leven towards Glencoe crossroads – a lovely place for a stroll in the evening sun. Clachaig is approximately 4 miles away by car. A grocery order service is provided for all our guests at Clachaig Holidays. We are able to offer a select list of items to help ensure that the first day of your holiday isn’t spent at the supermarket. The simple tick list contains everything from basic essentials such as bread and milk through to salmon, steak and other speciality Highland products. Please ask for more details when making your booking. Full details are currently being updated, with bookings now being taken for the 2017 season. Please get in touch if you have any queries or check back soon for full details. 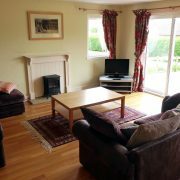 Camus Bhan, located at Invercoe on the fringes of Glencoe village is a lovely semi detached cottage in a stunning location overlooking Loch Leven. 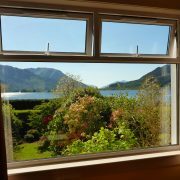 Sit back on a sunny afternoon and soak up the view! Whatever the weather, the changing light over the loch is a mesmerising sightand will have you staring at the view for hours. 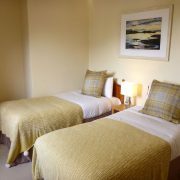 Twin bedded room on the first floor with views over Loch Leven and en suite shower and toilet facilities. The lounge at Camus Bhan, Invercoe. 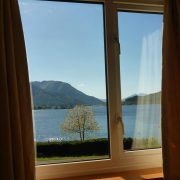 The view through the patio window to Loch Leven is stunning. 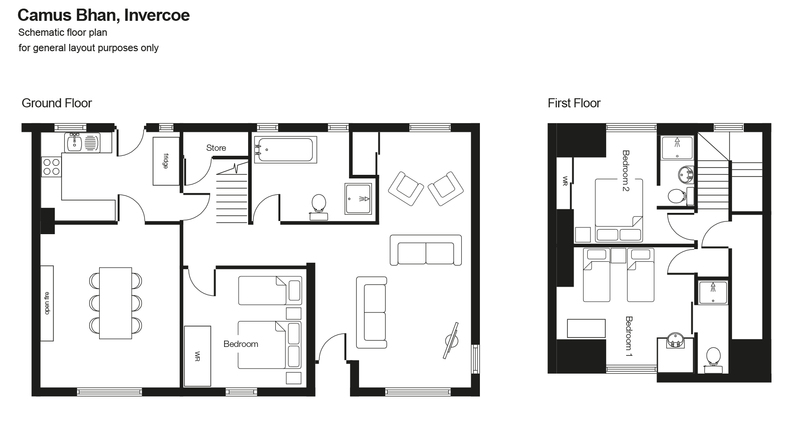 Indicative floor plan showing the layout of Camus Bhan, Invercoe. 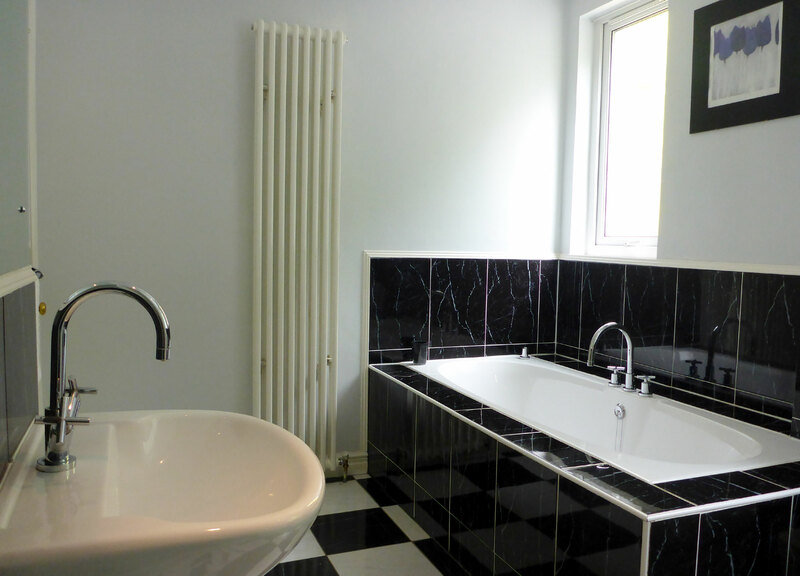 Double bedroom located on the first floor with en suite shower and toilet facilities. A quiet outlook to the rear and the forest of the old Glencoe estate. 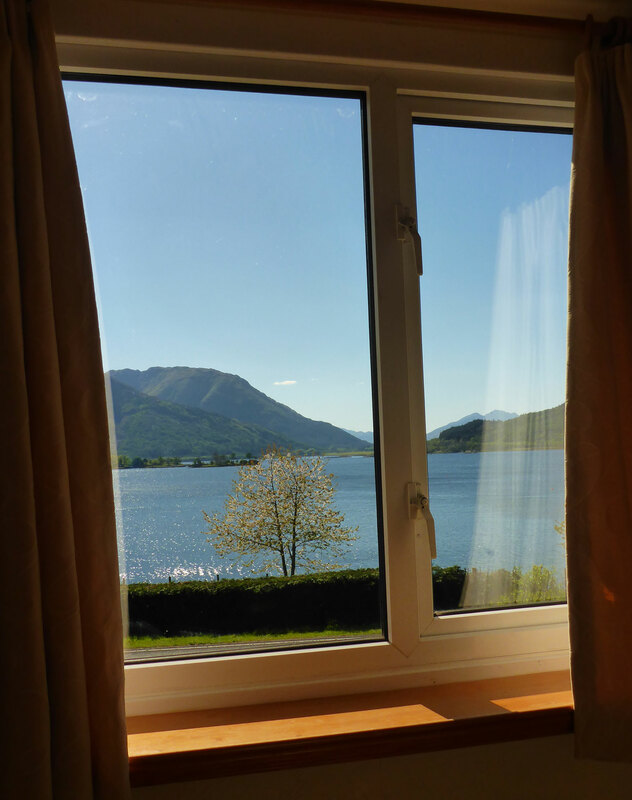 Camus Bhan enjoys a fantastic outlook over Loch Leven. 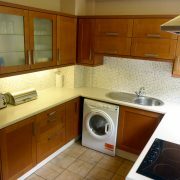 Kitchen providing everything required including a dishwasher and a washer/dryer for your laundry. 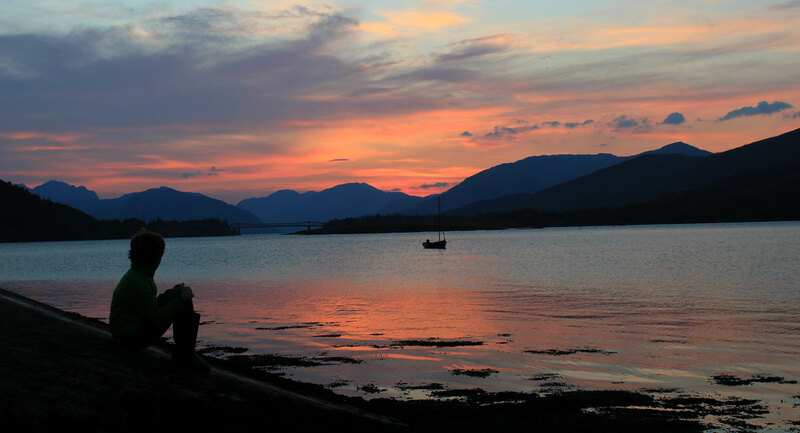 Just a short walk through the village, the foreshore at Ballachulish is a lovely spot at any time, but especially so at sunset. 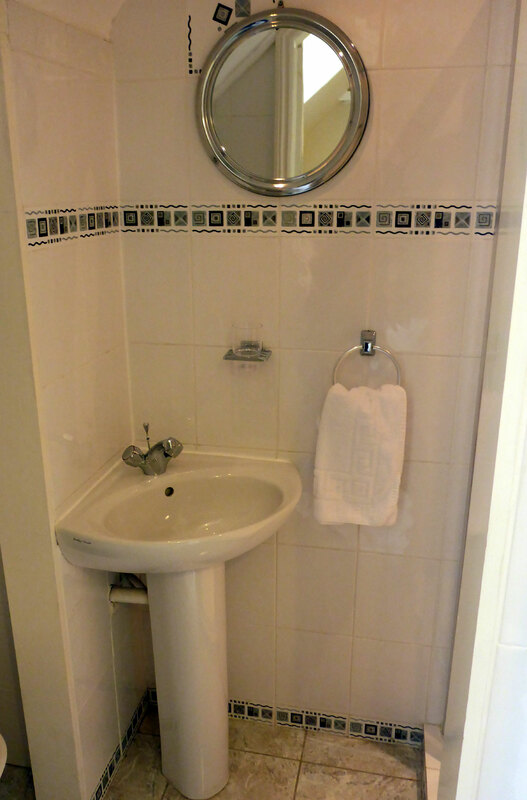 Spacious bathroom located on the ground floor, with large bath and a separate shower. 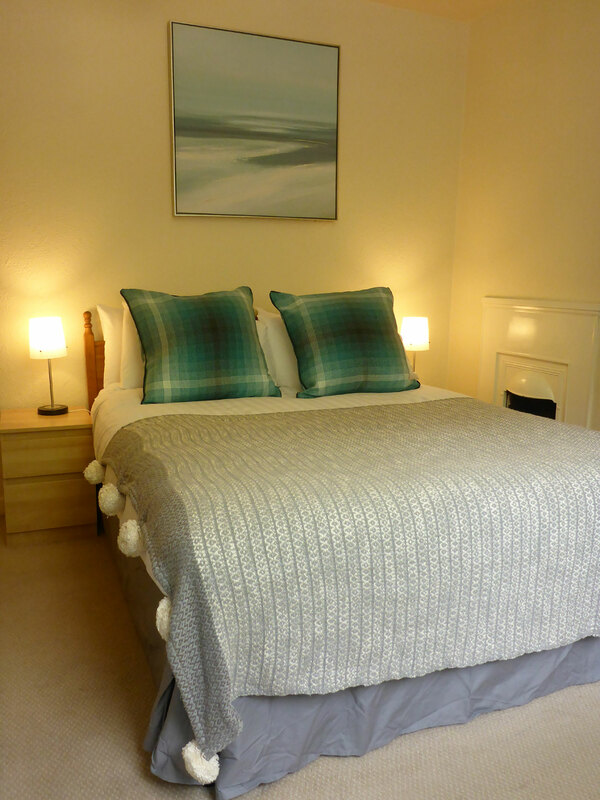 Ground floor bedroom with double and single bed, which can be used as a double or twin. Outlook over the gradens to the loch. Throw back the curtains in the morning and this is the view. 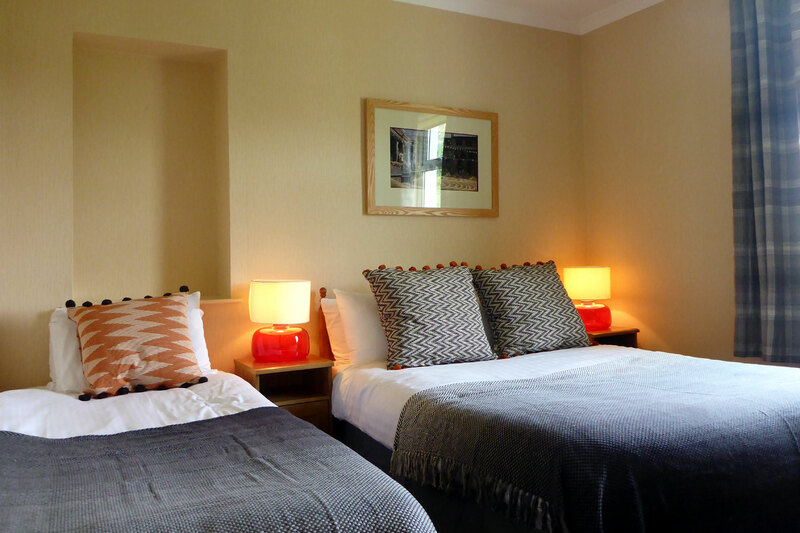 Both bedrooms on the first floor have en suite shower and toilet facilities. 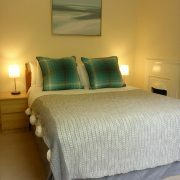 Our Glencoe Cottages are equipped with free password accessed wifi for guests use. 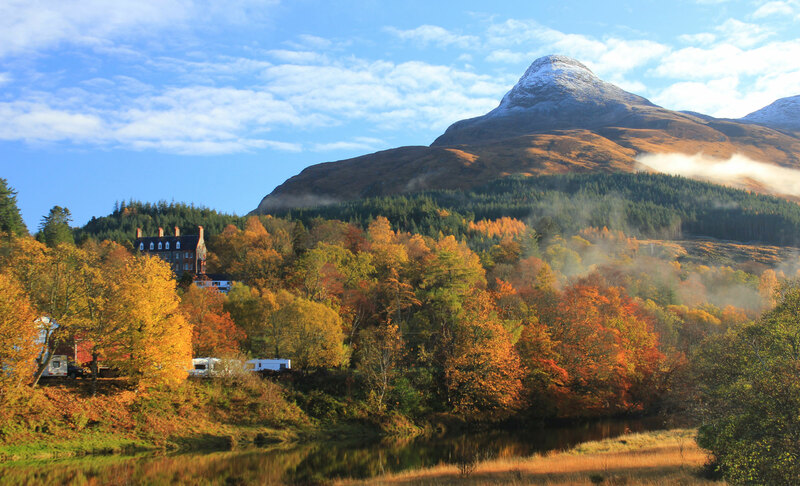 Autumn colours and early November snow by the River Coe at Invercoe, adjacent to Camus Bhan. Up to two dogs are permitted in Camus Bhan. Dogs but must be kept out of bedrooms and off of the furniture and never left alone in the property. You must read our dog policy before booking. Only dogs are permitted in our properties. No other pets are allowed. 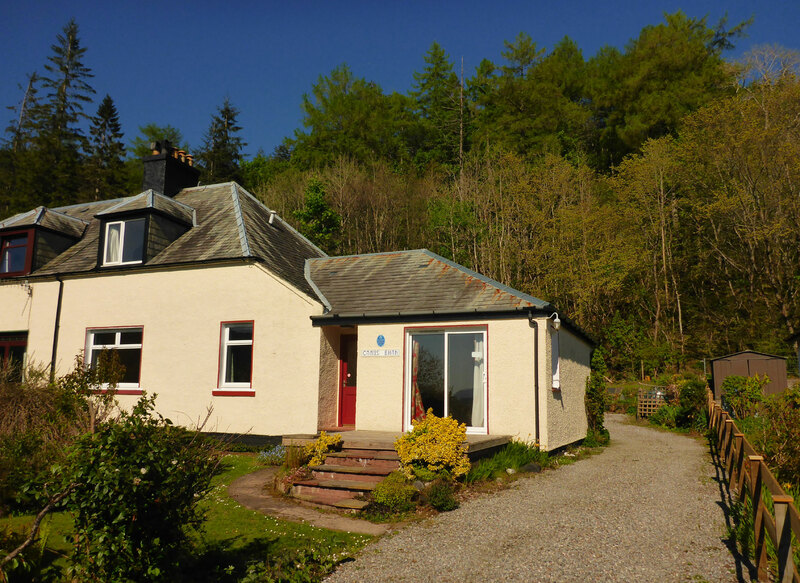 Camus Bhan is located in Invercoe, a small settlement adjacent to the main village of Glencoe, on the shores of Loch Leven just off the B863 road to Kinlochleven. 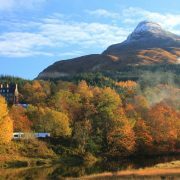 Whilst well situated for traveling by car, Invercoe also enjoys good access on foot or by bike. A wide pavement leads back along the road to the Glencoe crossroads where it connects with the Cycletrack to Ballachulish and beyond. Alternatively, head either to the NTS Visitor Centre or into the village on the Glencoe Orbital Track. A path from the back door leads to either the popular Glencoe Lochan trails, or along the river Coe giving an excellent alternative route to Glencoe village.